Danish manufacturer FLSmidth & Co says its increased order intake for mining and cement capital equipment and services won’t change its full-year revenue and profit guidance this year, but is indicative of better underlying conditions in its two key markets. The company said its overall order intake level in the September quarter was its highest in six years at US$1.098 billion, led by two big cement plant bookings. "Even adjusting for the large orders, the order intake increased about 25% compared to Q3 last year, mainly driven by growth in both mining and cement capital business," FLSmidth said. For the first nine months of this year order intake is up 25% year-on-year at US$2.64 billion, while revenues are up 2% yoy at US$2.038 billion. EBIT for the period was up 2% yoy at $123 million. FLSmidth said its current DKK17.2 billion (US$2.64 billion) order backlog was in its best shape for three years. 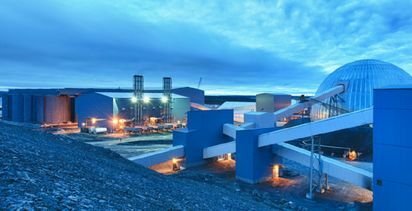 Mining capital equipment and service accounts for 44% of the company's revenues and about 24% of its current EBITA. "Despite a considerably stronger mining order intake in 2018 compared to Q1-Q3 last year, mining revenue fell slightly in Q3 2018 due to the time lag between order intake and revenue," FLSmidth reported. "Mining revenue is expected to pick-up markedly in the fourth quarter. "Cement revenue is expected to pick-up in Q4 as well due to timing of projects." 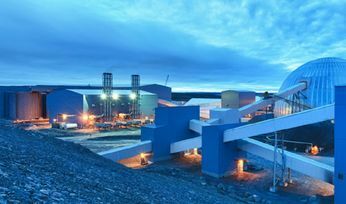 FLSmidth CEO Thomas Schulz said the company had "registered a positive trend in mining" and industry capital expenditures showed continued good momentum in the third quarter, despite ongoing trade war uncertainty which had impacted commodity prices. "After a copper price decline of more than 15% in June-July, the speculative activity against copper subsided in Q3, and the copper price has stabilised around US$6,000/tonne and ended the quarter close to $6,200/t, well above the cash cost of most copper producers. "ICSG has estimated a world refined copper deficit of 150,000 tonnes in the first seven months of 2018, and the International Wrought Copper Council is expecting a copper supply deficit in 2018 based on solid Chinese demand growth of about 4% this year. "Demand for minerals processing equipment and brownfield projects remained solid across regions and commodities in the third quarter. Mining activity in the Americas and Asia remained healthy, with copper and gold as the driving force, but good activity within other commodities too, including coal, nickel and zinc. "Australia saw increased inquiry activity within iron ore, coal and battery related commodities. Subcontinental India showed good activity within iron ore, coal, zinc and alumina in particular. "Activity is slowly picking up in Sub-Saharan Africa and the Middle East, mostly related to copper, gold and coal. Across regions, customers are showing increasing interest in new technology to increase productivity and drive down costs. "Greenfield activity is still limited, although the pipeline contains a few opportunities for larger mining projects. Timing is uncertain due to lengthy processes related to environmental approvals, internal board approvals and, in some cases, financing. "While the miners have shown increasing interest in improving productivity and increasing capacity, they remain cautious on new investments and focused on minimising production costs. "With the latter representing both an opportunity and a constraint, the mining aftermarket was largely unchanged in the quarter. Growing mine production, especially in copper, is creating a larger installed base to service, but at the same time miners are pursuing ways to operate equipment more efficiently." Pricing for equipment and services was unchanged in the quarter. Copper and gold miners and developers accounted for 46% of FLSmidth's mining equipment and service orders in the first nine months of this year. The company has kept its 2018 revenue guidance range at US$2.76-3.07 billion, and its EBITA margin at 8-10%. Its shares were up more than 5% Wednesday at DKK370.9, capitalising the company at about US$2.91 billion. The shares traded to DKK442 in early June, but are off their low for the year of DKK325.8. "Mining stocks are in the beginning of a new bull market"